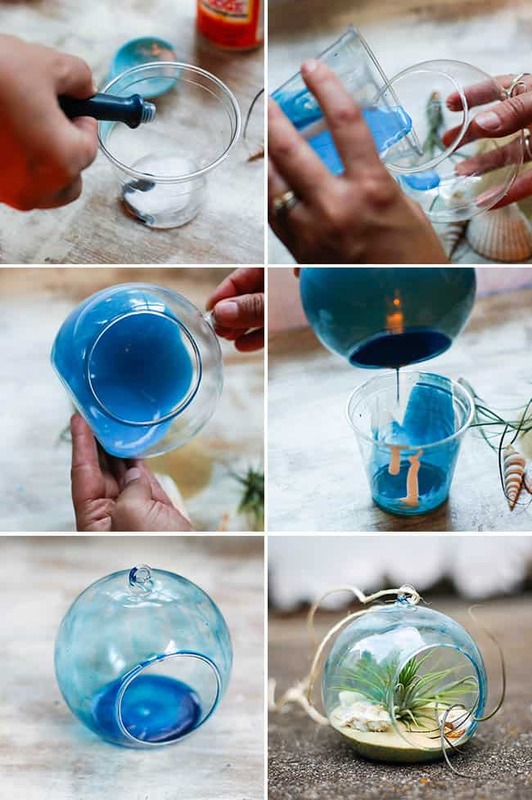 If you’re coming home from a beach vacation this month with lots of cool new shells, here’s a fun project to do with the kids. 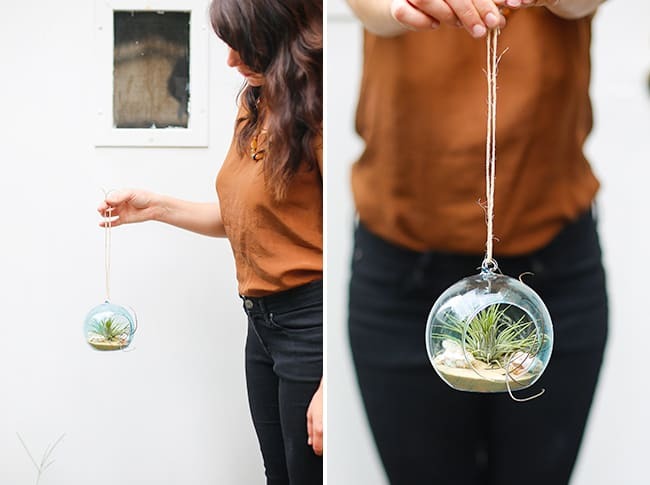 And honestly, kids or not, you should still make one of these because air plants are pretty much the coolest thing ever. The no soil part makes things so much easier – and less messy! Some sort of container – I found these cool globes on clearance at Michael’s. Start by combining the Mod Podge and water in a small bowl or cup. Then add 7-9 drops of blue food coloring and mix well. Note this amount works for a small container – if you have a bigger terrarium with a lot more surface area you might want to double the recipe. Pour the mixture into the terrarium and swirl it around until the inside is completely covered. Pour out any excess liquid and wipe the edge of the rim. Let the container dry for at least 45 minutes and then bake at 225 degrees for 1 hour. 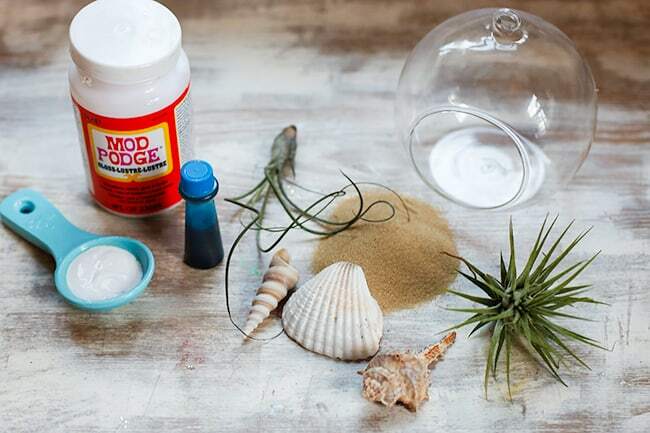 After the container has cooled, fill with a layer of sand and add the shells and air plants. I was reading today on how to care for air plants, and yes, you do have to water them. Apparently they like to be doused – even submerged – in water a couple of times a week. Have you made any vacation mementos? There’s still time to squeeze in a trip before summer ends! I’m curious – how are you going to submerge the plant without all the sand etc escaping? 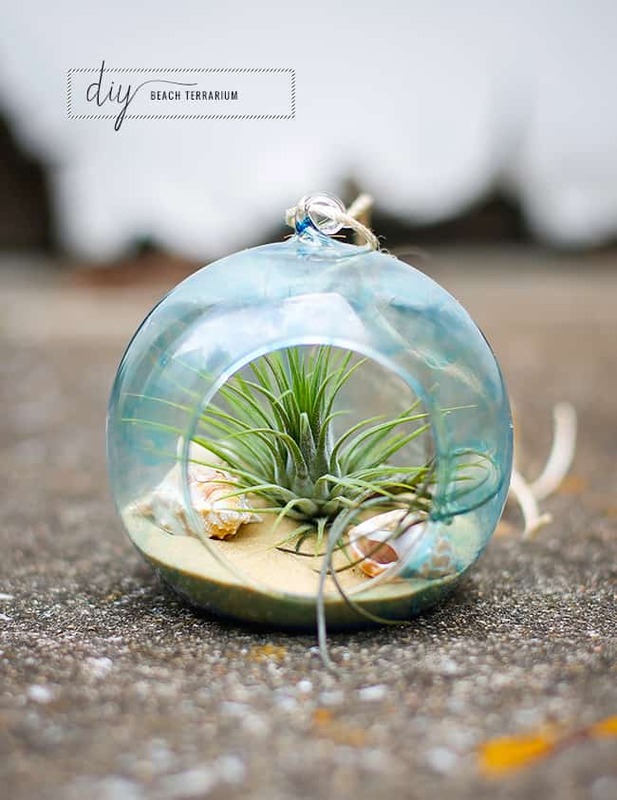 What method did you end up using to water your airplant and keep it healthy? Rachel, I used a fine spritz bottle to water the plants. Works great! What a beautiful way to bring the beach into your home. Love your site. Just pinned! I really want to make one of these, but I’m just wondering what difference “cooking” the glue and bauble makes? This is just so creative and a beautiful way to hold a little piece of ‘beach’ in your home. Love it! This would be perfect! I did not inherit my Daddy’s green thumb! I love terraniums! I have been itching to make one but could never figure out what layout to do so these instructions are awesome! Such a great idea and so great to have the memories kept safe. Pinned! Just found you via Bloglovin and am so glad I did – this is BEAUTIFUL! So pretty! 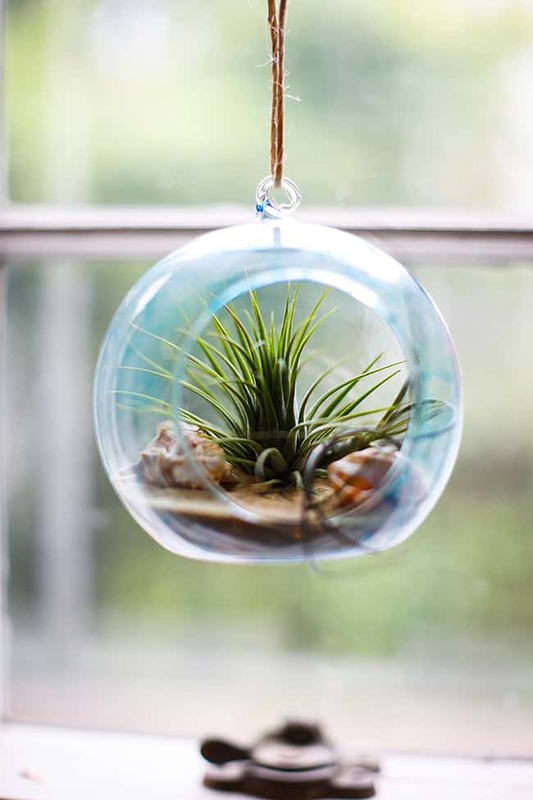 Love air plants! How pretty. They’d make nice decoration for a summer party too! Yay, air plants! There’s a stall at the farmers market that sells them and I ooh and ahh over them every time we go. This is so fun! So pretty!! What a great project!